Luxury real estate marketing professionals can gain currency with their clients by becoming familiar with some of the best luxury brands of the world, and their anecdotal stories. If you were to ask someone, what is the best champagne to celebrate with; chances are they will tell you it is Dom Perignon. There is further evidence of that fact. 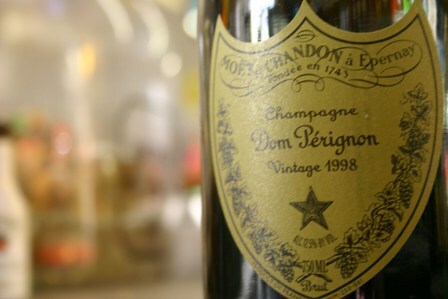 Costco is the largest reseller of Dom Perignon in the world. It first appeared on the market in 1936, vintage year 1921. Vintage means that only the best harvest years qualify and all the grapes used to make the wine were harvested in that year. How did Dom Perignon achieve the status as an icon of luxury and celebration? Here are the strategies. 1. It was the world’s first commercially available prestige cuvée. In Champagne, the cuvée is the first 2,050 liters of grape juice from 4,000 kg of grapes (a marc). Dom Perignon insists that every grape is perfect in the bunch. 2. Product placement is the second strategy. In both James Bond films, Dr. No and Thunderball, a bottle of Dom Perignon plays a role. In Dr. No, James Bond grabs a bottle of Dom as a weapon. Dr. No tells Bond, “That’s a Dom Perignon ‘55; it would be a pity to break it.” Bond answers, “ I prefer the ’53 myself.” Bond changes his mind in the subsequent film Thunderball and orders a ’55 with caviar. This placement added to the Dom Perignon perception of prestige. 3. The concept of scarcity is a great way to emphasize luxury. The idea that is made only in certain years and in small batches furthers the perception of its greatness.